Our Art Department is well trained to serve you. We will transfer your artwork to stitches. 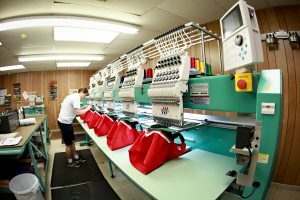 We use Top Quality Industrial Embroidery machines along with a well trained Staff to transform almost any logo to stitches. 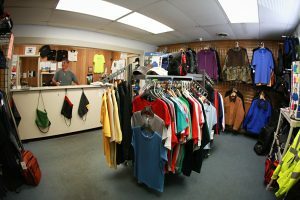 Find the products you like, note their stock numbers, and add them to your inquiry. Fill Out the form and we’ll get back to you soon! What types of products are you interested in? You can include product numbers or just let us know what you're looking for and we'll be in touch with options. Have a logo or file to attach? Enter the characters below to proceed. 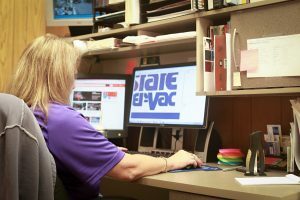 We will quote the cost to Digitize your logo in a format that our embroidery machines can read and sew. Once we complete your logo we will email you with a sample sew out of your logo for approval. Now we are ready to add your logo or graphic to the products you have decided on. Once these items are completed they will be ready for pick up or shipment to you. It’s that Easy. We accept VISA, Master Card and Discover. Sorry we don’t accept American Express. All orders will require a deposit to start and balance due upon completion. We offer FREE embroidery on products purchased through us includes a left Chest size logo.